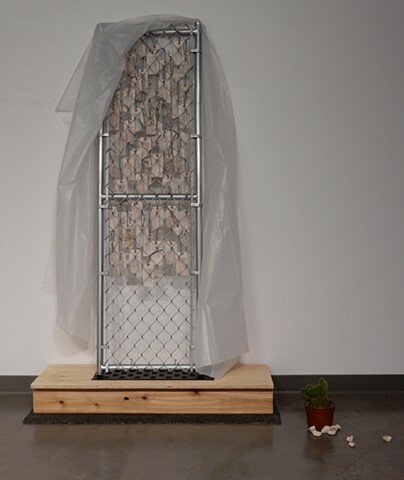 Metal fence/gate, printed-paper on card, fabric ties, poly sheet, plywood and cedar platform, rubber mat, polypropylene grass carpet, rocks and a potted plant. 78 x 48 x 24 Inches. Still premature? If not now, then when? Call or fold.